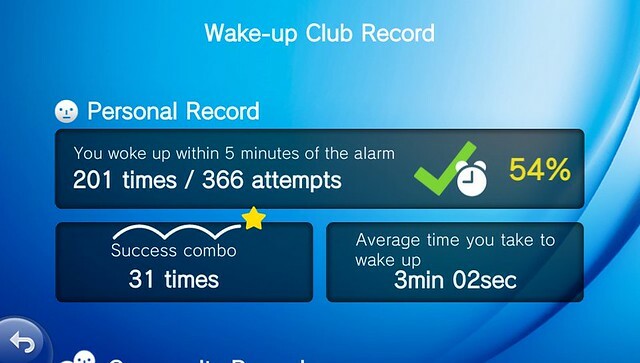 Back in April, we unveiled a host of new applications coming to PS Vita, including Wake-up Club, a new interactive way to start your day with other PS Vita owners. Next Tuesday, the application will be available to download for free on the PS Vita PlayStation Store in North America! Let’s face it: getting up in the morning isn’t something we usually look forward to, but Wake-up Club adds some social fun into the mix to make getting out of bed more bearable. 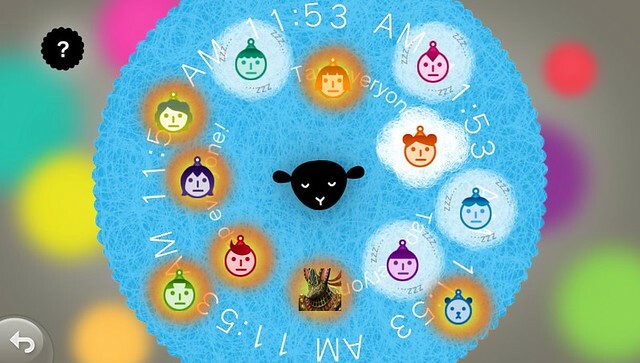 In addition to adding alarm clock functionality to PS Vita for the first time, including the ability to personalize your alarm tone and background theme, Wake-up Club matches 12 randomly selected players who set their alarm clock at the same time into a—you guessed it—wake-up club! As soon as your alarm goes off, your avatar will begin bouncing around the PS Vita touchscreen. Tapping your avatar lets other players know you’re now awake. Once in the virtual club room, you can see other players’ avatars, as well as who’s awake and who’s still sleeping. Tapping the sleeping players’ avatars will “cheer” them on. If you happen to keep snoozing though, you’ll notice that the rest of the Wake-up Club players will begin appearing on your screen. Swipe them away and tap your avatar to join the rest of the group. Additionally, you can send friend requests and find out more information about each player by tapping their avatar. Make sure to check out your club records to see how many times you’ve managed to wake up within five minutes, how many consecutive successes you’ve managed, and the average time it takes you to wake up. To get set up with Wake-up Club, access your PS Vita system’s Settings menu, choose Date & Time, then Date & Time Settings. Ensure that Set Automatically is ticked. Then you’re good to go! Be sure to check out Wake-up Club when it launches on the PS Vita PlayStation Store next Tuesday, January 15th. Happy snoozing! 1) So each night you are randomly paired with a new 12 people? 2) Can we make any song on our PS Vita our alarm? 1. Yes each night there will be 12 random people you are paired with. 2. Different alarm tones can be chosen from the list provided by the app. There will be future DLCs with new alarm tones and themes. Were any features added in the months it took to localize this app? There were certain hurdles that needed to be cleared to bring the app over to our region. Glad to say it’s all clear. YEAH!!!!! Not gonna lie I am so pumped for this. Should be free, the other games they’ve mentioned with this one have all been free. GET READY RYAN DAVIS. GIANT BOMB’S WAKE UP CLUB IS COMING. Don’t worry Morggo (and other trophy whores out there). You will get to pad your trophy list for just waking up in the morning. Info you could have gotten for yourself with 15 seconds and one Google search. There are 12 trophies. 1-Gold, 3-Silver, 8-Bronze. Actually, if you get the trophies without altering the Vita’s internal clock, there’s one for Joing the Wake Up Club 365 times. One full year to collect a Bronze trophy. Twisted, I like it. @8 Totally down for a Giant Bomb wake up club. With Vita sales sorely lacking, and few decent games on the horizon for 2013, I’m glad Sony took the time to make an alarm clock app. This will certainly save the floundering console, and make us early adopters proud of our $250+ purchases. Hoping that a firmware update to add folder functionality and being disable the auto dimming are coming soon. Moreover, a new PS Store for PS Vita and Treasure Park could use an update as well, perhaps with less Please Wait screens. We heard your comments and are looking into them all. 12 randomly selected gamers waking up on time? This is the hardest trophy I have ever seen. Awesome! Now I have one more thing to wake up on time. Since starting school again after winter break, I’m sleeping through both my Phone and PC alarms. Hope this gives me a bit of motivation! Also, please tell me this has trophies. Oh lol. Wake up for trophies. Trophy hunters will never sleep. Not knocking this app, it’s pretty cool for the social networking type but am I the only person in the world who gets up as soon as the alarm clock goes off? I know people to sleep for an hour with the phone sitting right by their ear going off repeatedly. Kinda wanna bash their heads in with something. What an awesome and innovative idea. 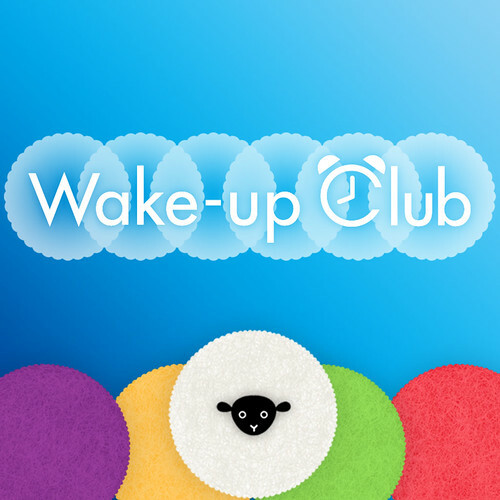 I’d heard about Wake Up Club before, but I never actually knew exactly what it does until now. I don’t think I’m alone in needing an alarm that actually requires me to get up and engage with something. More awesome ideas like this one, please! There has to be a Giantbomb theme for DLC! Really greatall these apps and ocial Functions on the Vita.. Since I have Vita my friend listgrow from arrond 20 to nearly 100.. Very soon I will hit the limit of 100 friends..
Ryan Davis is probably doing his happy dance right about now. Great news. I’d love to hear ideas for themes — send them on in! Battery lifetime is a problem here. @13, T3D- 1st week Vita owner here & been satisfied since day 1. Sounds like buyers remorse; sell it already as you’ll feel more pitiful the longer you keep something that you regret owning. Nice. Any word on when we’ll get Travel Bug? Finally, I wanted to see this game. It’s sad that USA became the last market to show experimental concepts like this one. Japan Studio is doning a lot of unique experimental games in these days. Well, I already see some angry comments here…. I’m a big proponent for experimental concepts. Stay tuned for more to come. Finally! I’ve been honestly waiting for this app to come out! I’ve been sorely in need of waking up on-time, and when it also involves trophy earning, I’m in! Speaking of apps: Any word on when we’ll finally get more of those other free “discovery apps” that Europe keeps getting? And on a related subject: How about the Frobisher Says update EU already has? We’re always looking to bring more content to Vita. Hope to have updates on this topic soon. 1) Is it a different group of 12 random people in our “club” everyday or the same 12? 2)Is there anyway for people on our friends list to join our club (if they wake up at the same time)? 3)I’m assuming it would, but would this app require our vita’s to be “on” all night in sleep mode for it to work? 1. 12 random people every day. 2. Friends can’t be selected. We debated on this for a while — on the one hand it’ll be great to have fun with your friends but on the other it would wreck the curve with trophies. We’re still in talks about this topic. @ Sid and/or Don since you’re here answering questions/comments do either of you have any info on the status of PS Blog share? It seems that it has been updated with ideas in a WHILE. Blog Admins: Are we ever going to see the LiveArea Limits increased, so we can better enjoy some of these low capacity apps? You guys are killing us Playstation Plus owners. We’re aware of this limitation and are looking into it. We definitely want to encourage more downloads. Next bring us the Toro Friend Network. @BlueBl1zzard – I have been using this app for the last 4-5 months (whenever it was released in japan), so these are the answers to your questions. You don’t need to mess with the internal clock to get the 365 wake up trophy, just set the alarm to go off, then change the alarm for 1-2 mins later, rinse and repeat, if you really want to grind it out. Pssh wont wake me up! This would require my Vita to be in standby mode, right? It would be AWESOME if I didn’t need to leave it in standby the entire night. The battery really isn’t that great, and I don’t like to leave it charging all night, apparently overcharging is bad for batteries. Any date for Europe ? What sort of hurdles caused the long delay? The game was already in English for months now. 4. Frobisher Says trophy patch. And please, folders for the bubbles, or release the 100 app limit. I’m constantly deleting items, and not due to lack of memory. any new banners for our vita profile? great to see this gem coming soon, but we want more PS1/PSP games on IGC for Plus players! What a sweet idea. Bring this to PS Mobile so cellphone users can join the breakfast club as well. Ok, this sounds really cool. Thanks for finally releasing this. It would be interesting to hear about the challenges and issues that were faced with localization. Trying to imagine what they were makes me curious. When you go into your list of past downloads, there should be ways to easily sort all the content in various ways and to search for specific items or ranges/types of items. When you have hundreds of things listed, it’s very inconvenient to step through a linear, chronological list screen by screen. Thanks for the feedback. We’re always working hard to improve the user experience so this information is very helpful. Interested in using this as a backup alarm power outages can make it interesting to make it to work with winter storms. Thanks sony, I really need it. I made a question in the update’s post about this “game”, unfortunatelly nobody answer me, but where there the answer. sounds cool, I’ll give it a try.